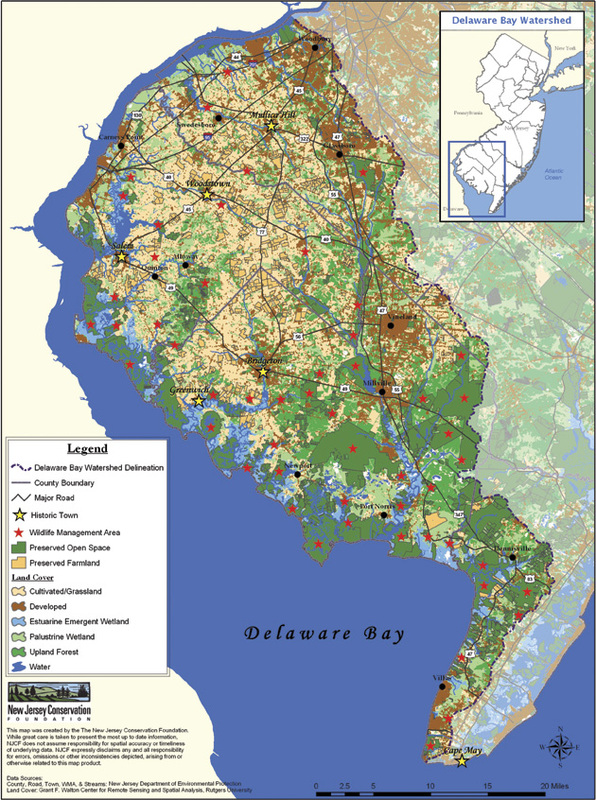 Thousands of acres of fresh and salt water and the Delaware Bay sustain the South Jersey Bayshore. Bayshore farms, estuaries, salt marshes, forested wetlands, woodlands and streams support the local economy, community traditions and way of life. But the Bayshore’s natural and historic resources are fragile. Loss of farmland and wildlife habitat, lack of historic preservation, contamination of streams and fisheries and depletion of drinking water supplies, have impacted local economies and livelihoods. Click map for higher resolution image. Use your browser tools to view at 100%.